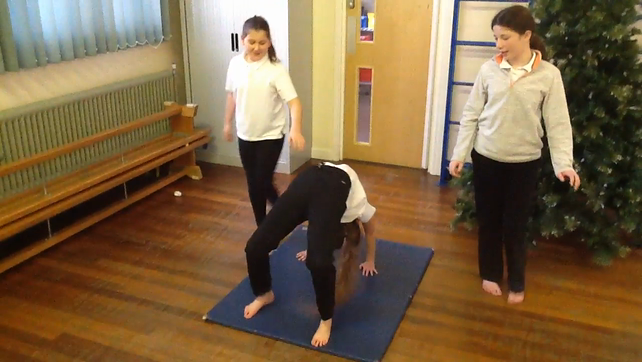 Class 5 have working on their gymnastic techniques in PE with Mr Johnson. 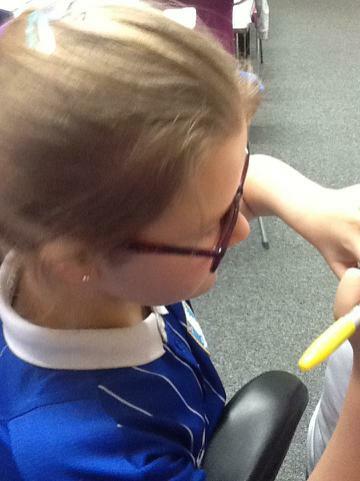 We have looked at balancing, rolls and stretches. 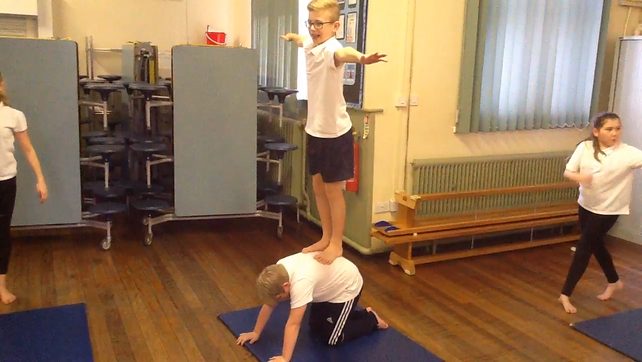 We have been putting together a routine over the last few weeks and we performed our final routines on Thursday. 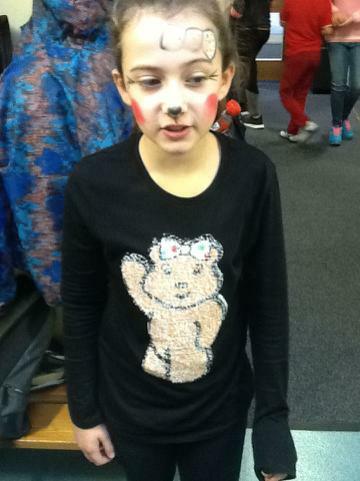 Here are some phots and a video of a finished routine. 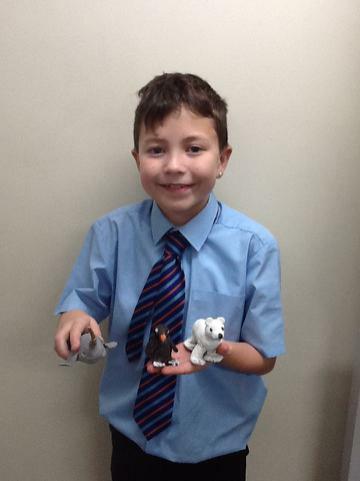 Our amazing frozen kingdom animals have finally set so we were lucky enough to be able to paint our two layers of paint required in these last few weeks to finish them off. 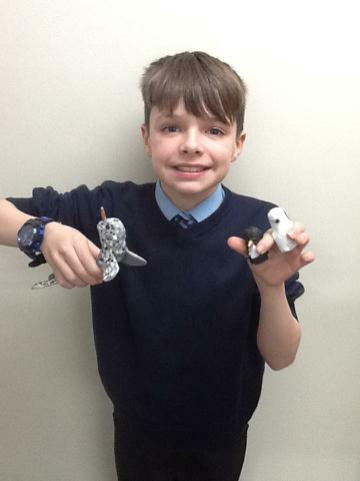 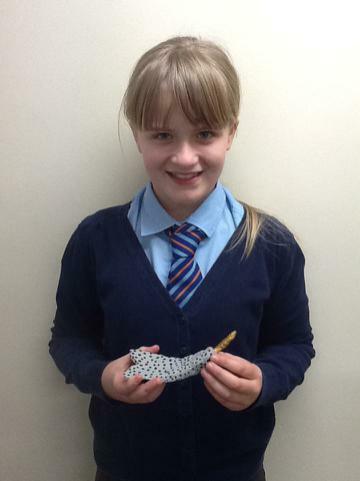 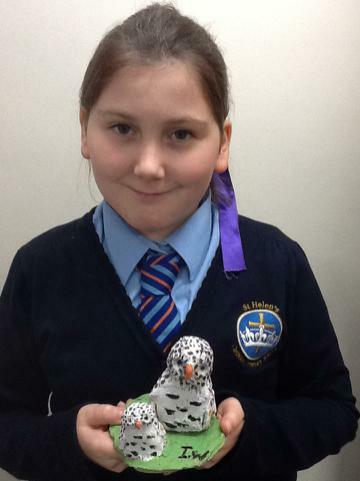 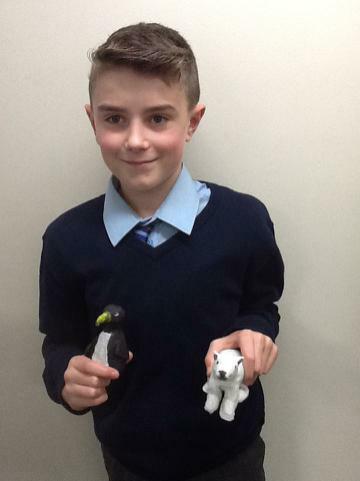 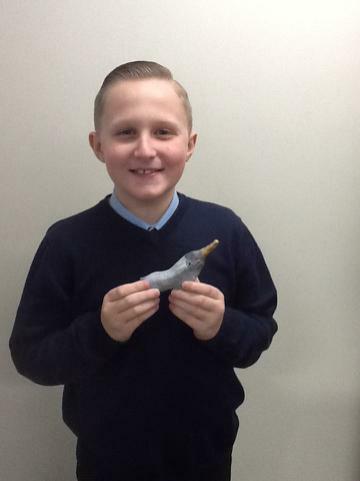 We mixed some poster paint with PVA glue to give our animals a glossy shine. 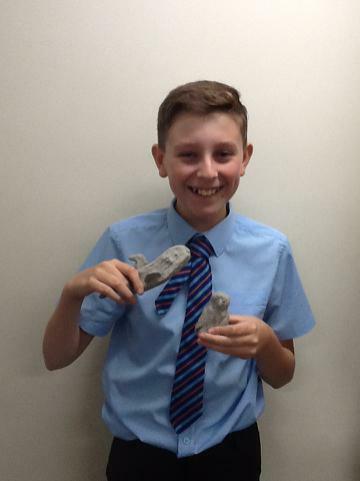 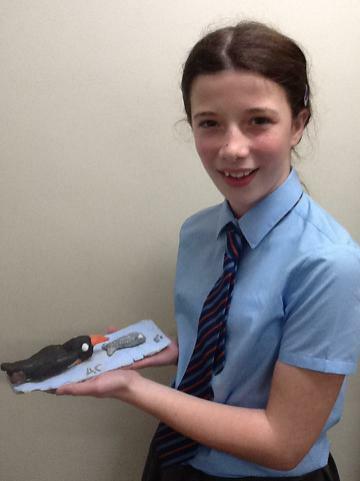 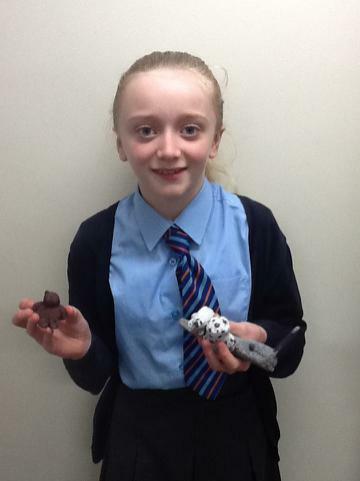 I think you will all agree that the finished products look amazing. 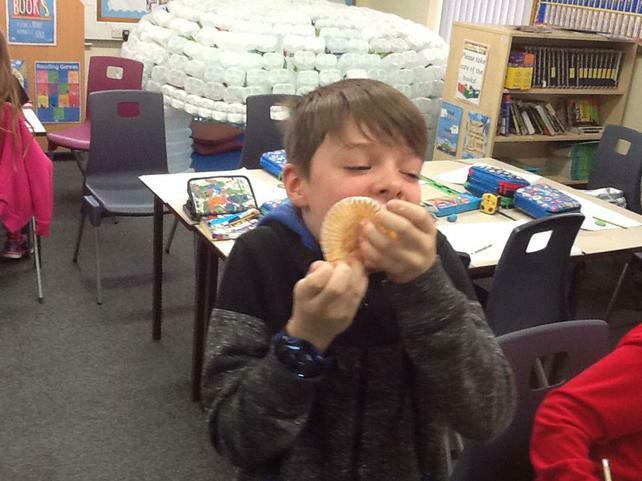 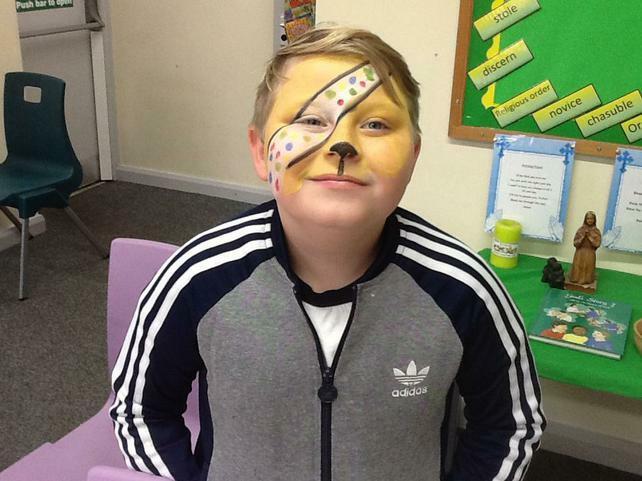 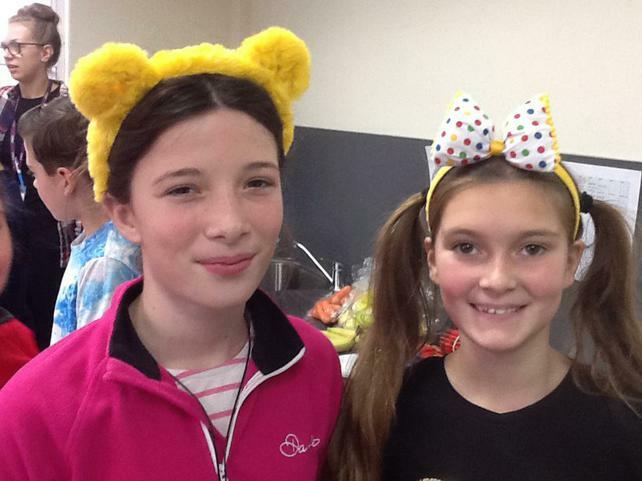 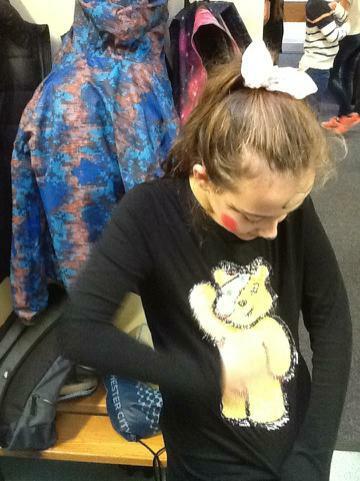 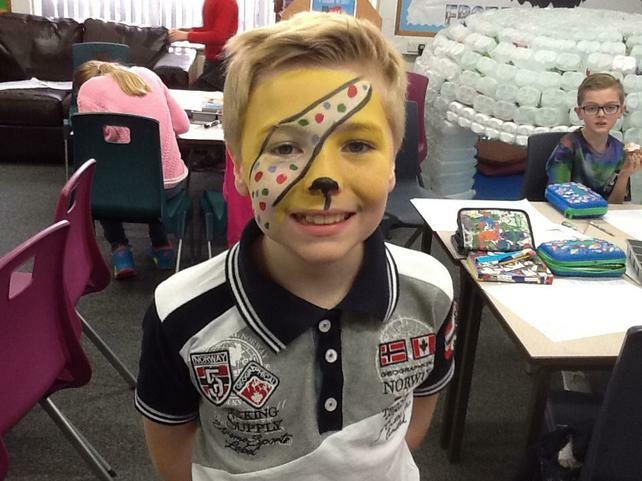 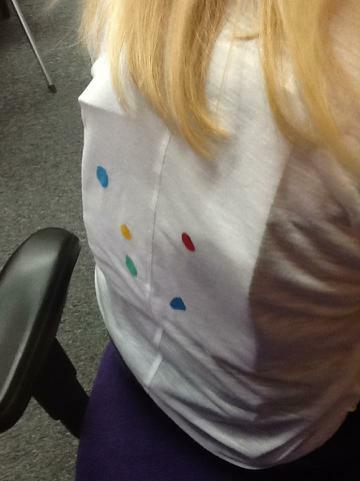 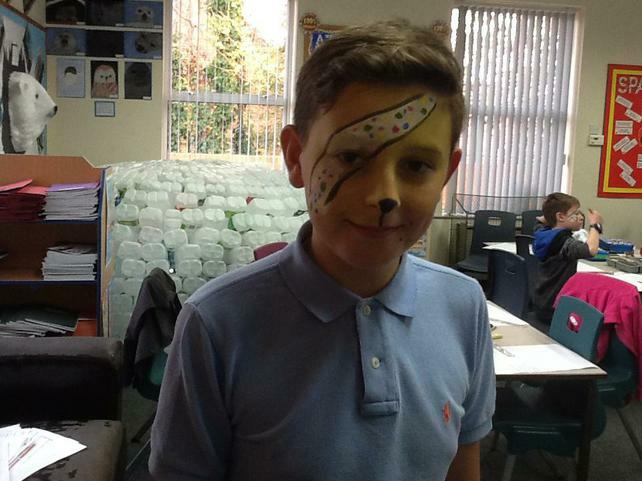 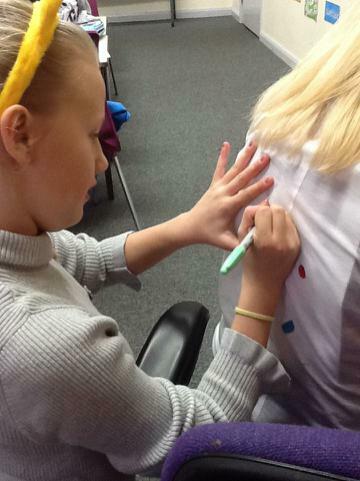 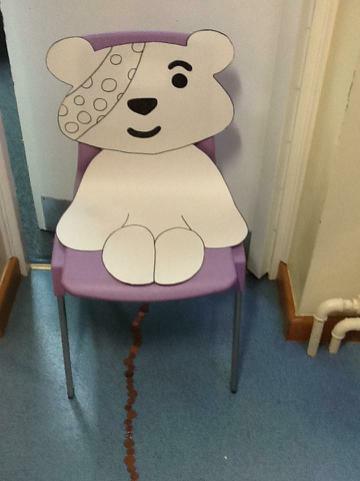 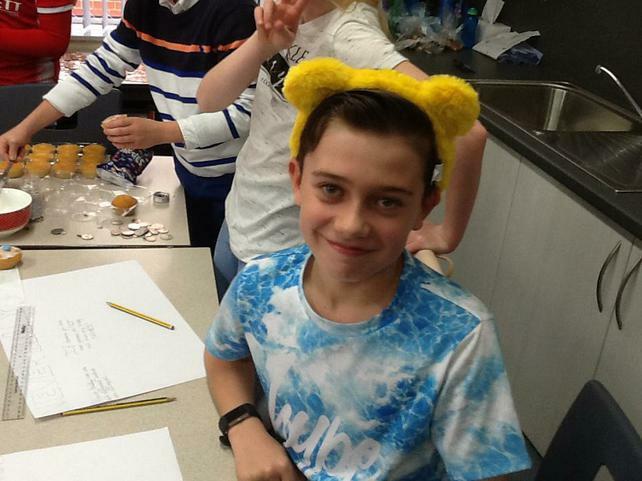 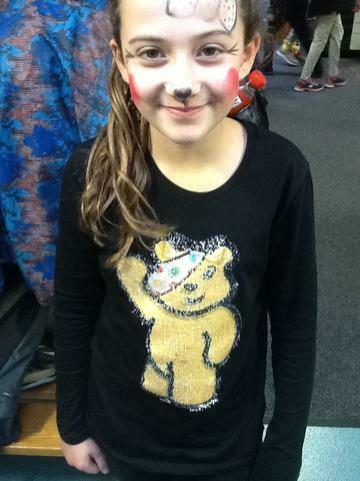 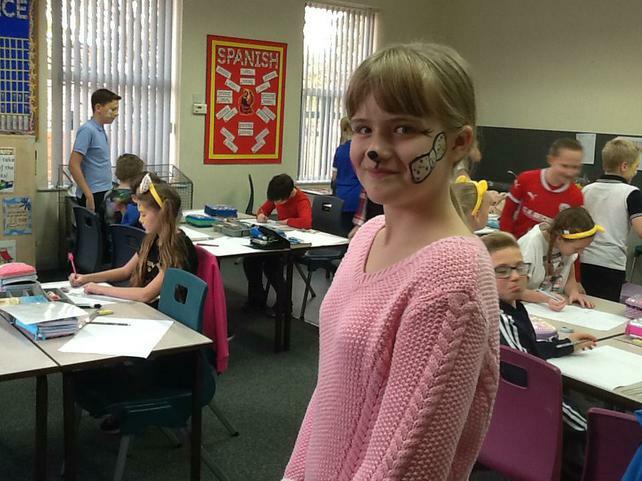 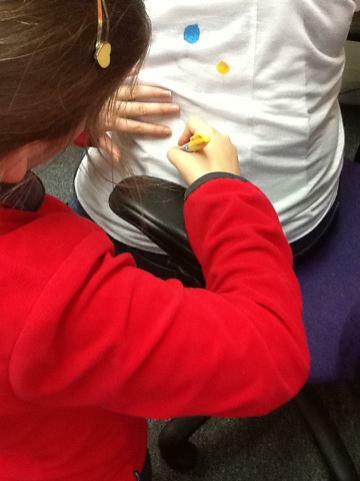 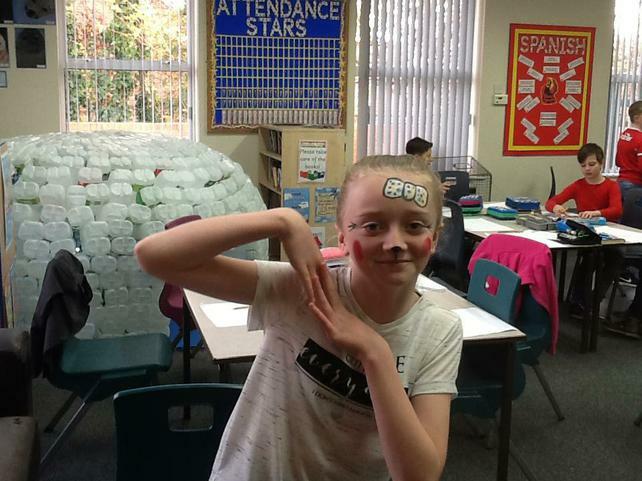 We have had another fantastic week this week and to end the week we had such a fun day celebrating Children In Need. 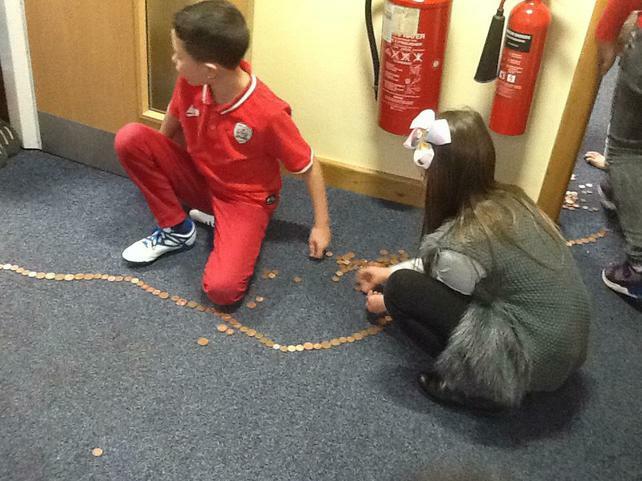 We have taken parts in lots of activities and raised a lot of money. 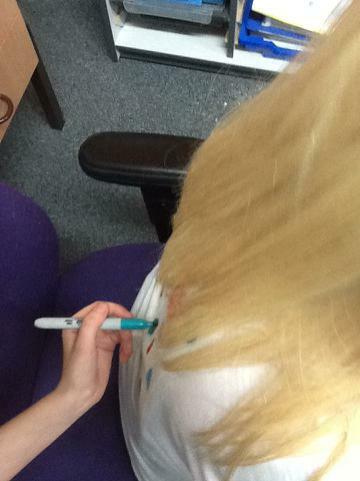 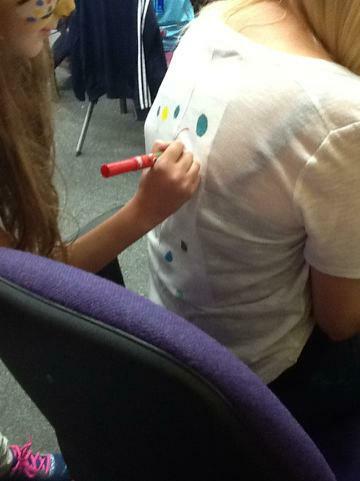 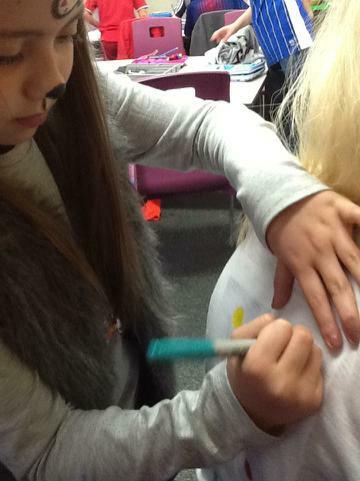 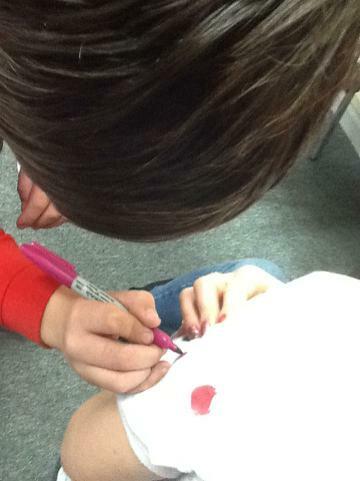 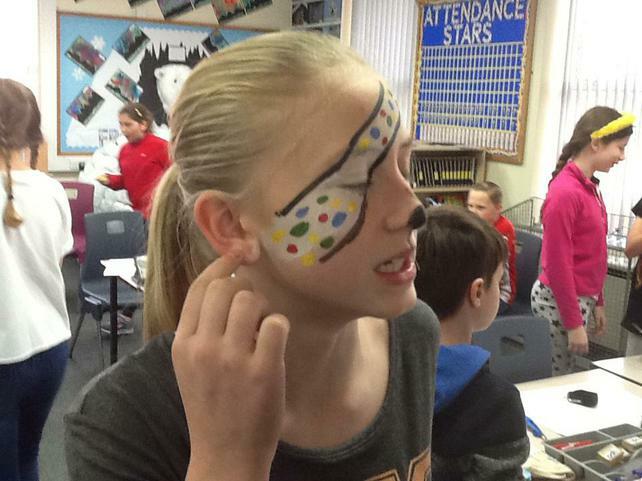 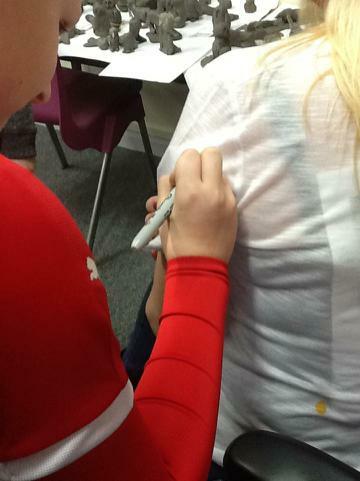 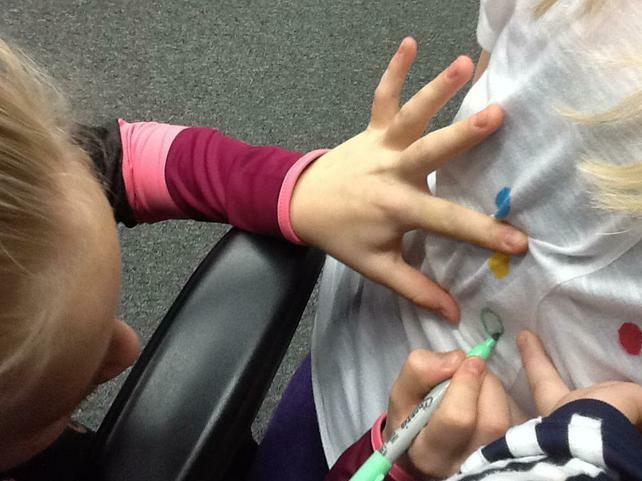 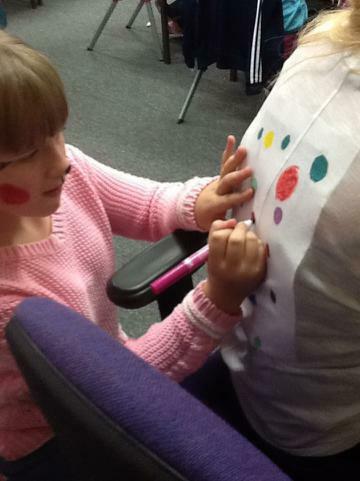 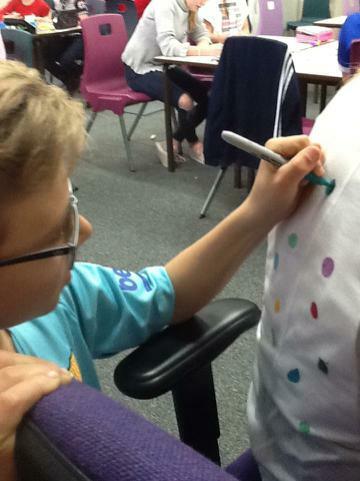 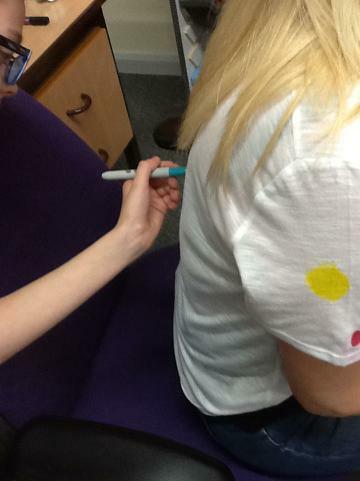 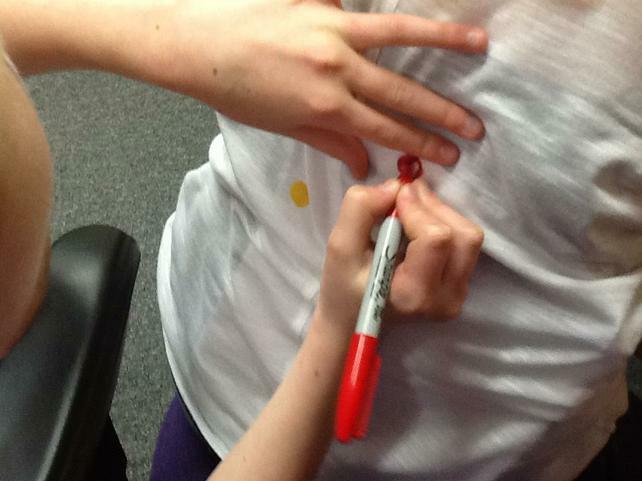 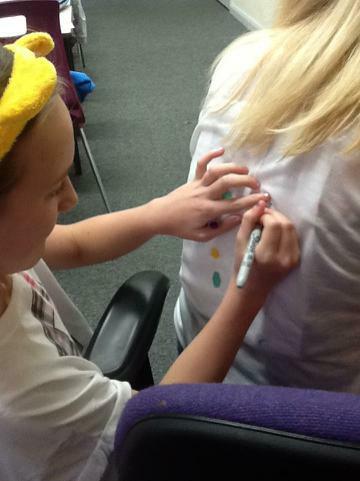 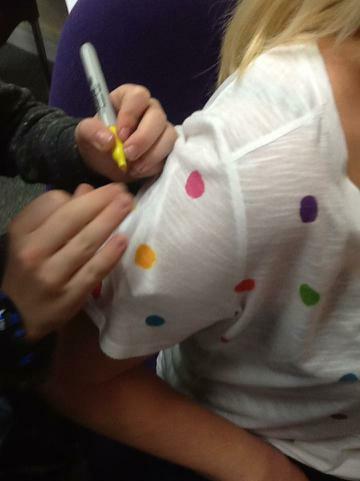 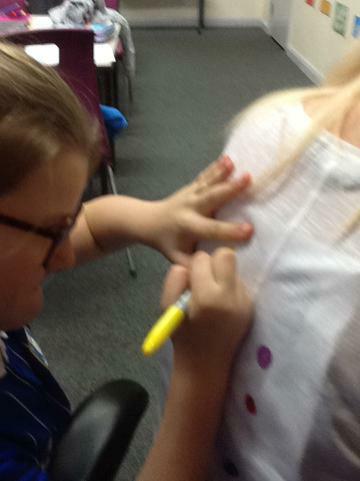 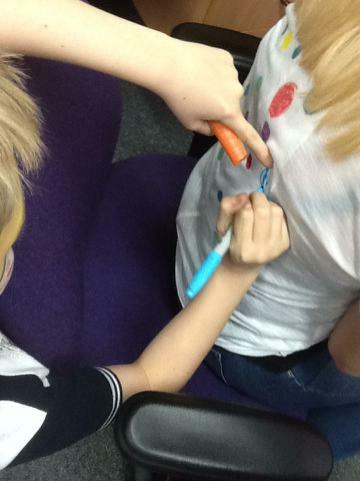 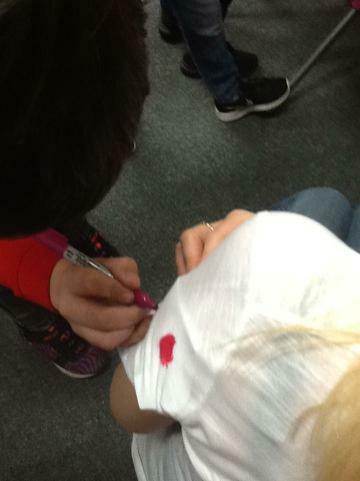 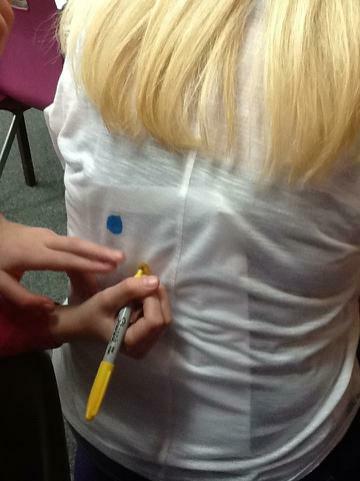 We showed up in spotty clothes and we had our faces painted like Pudsey and even got to paint some of the teachers. 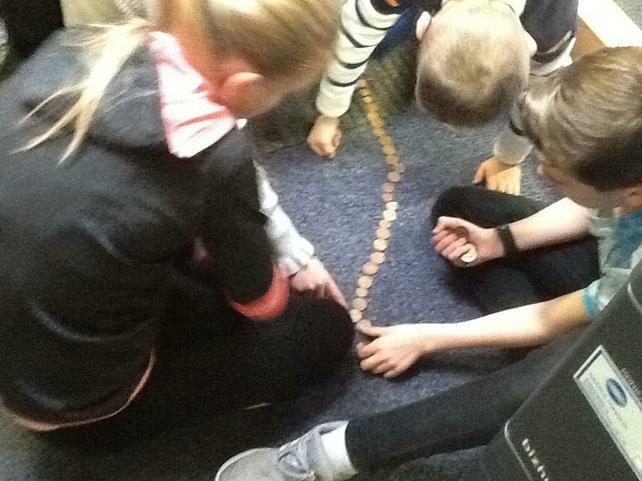 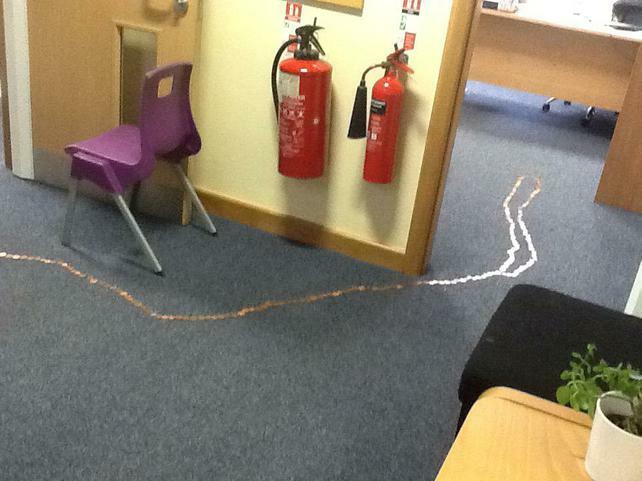 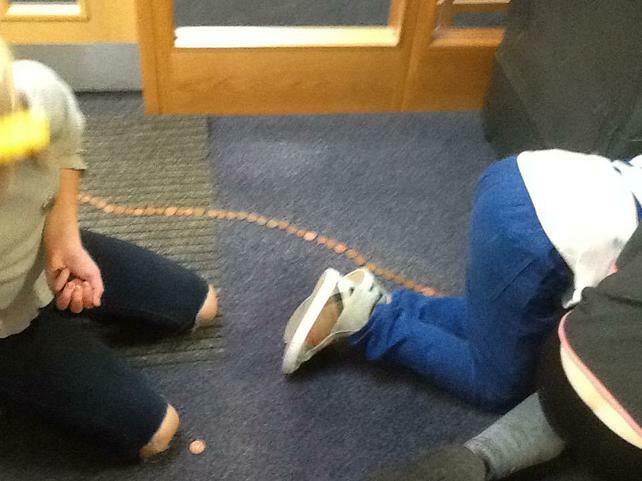 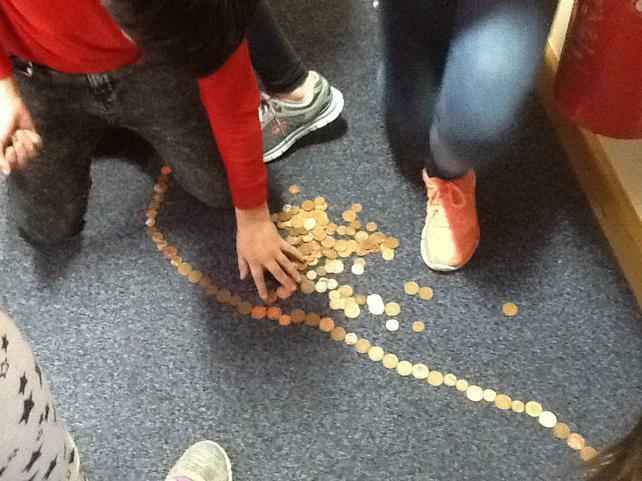 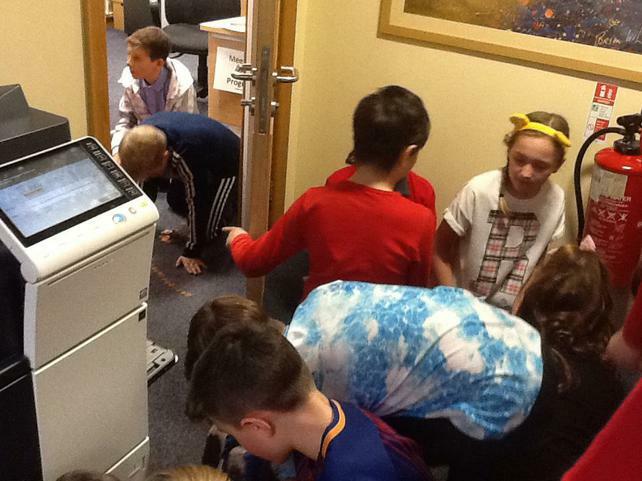 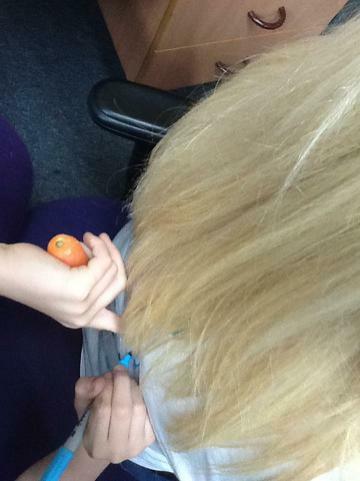 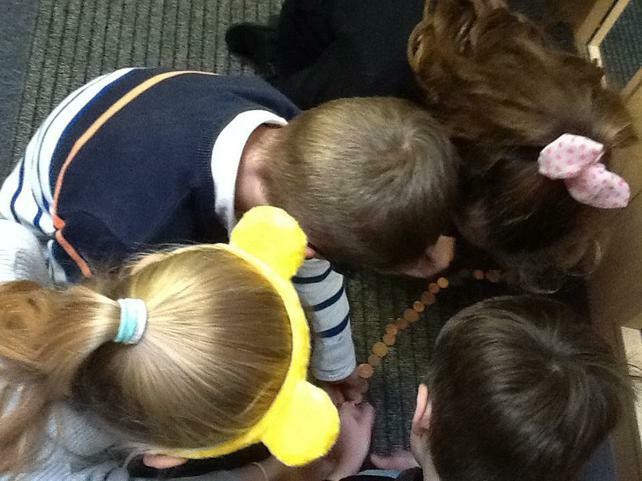 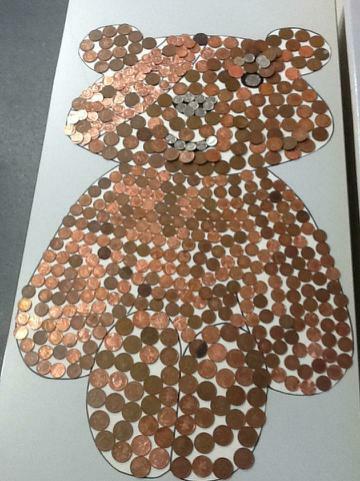 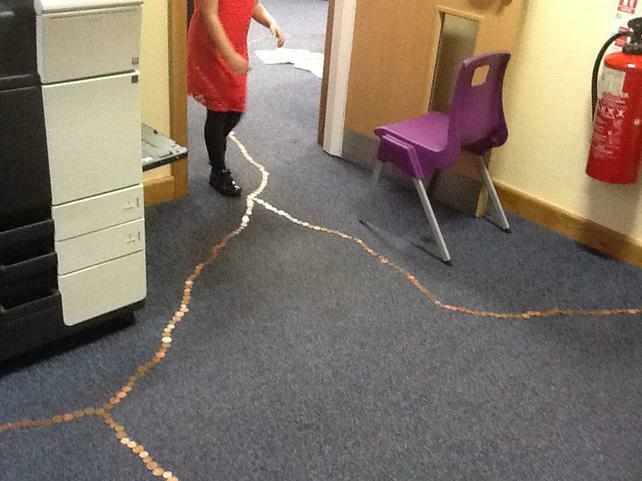 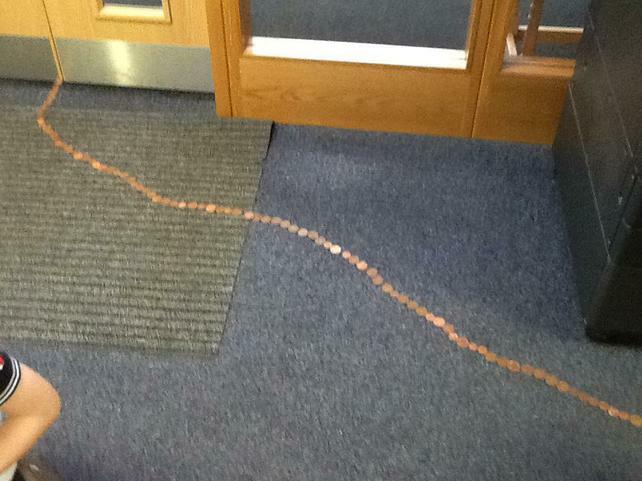 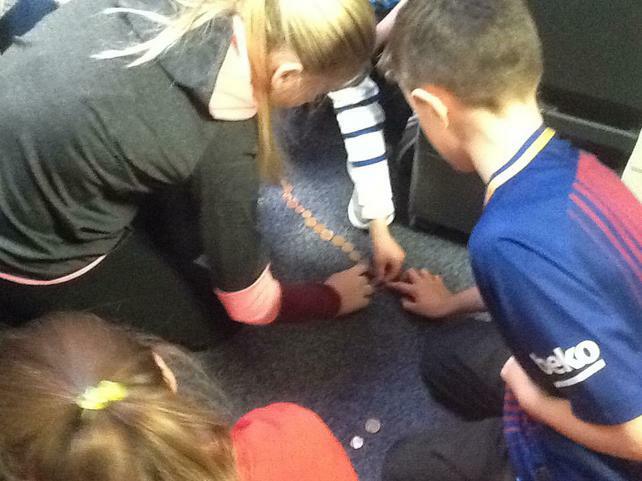 We organised a coin trail throughout the whole school and we brought in enough coppers on our trail we were able to make it to every single room of the school. 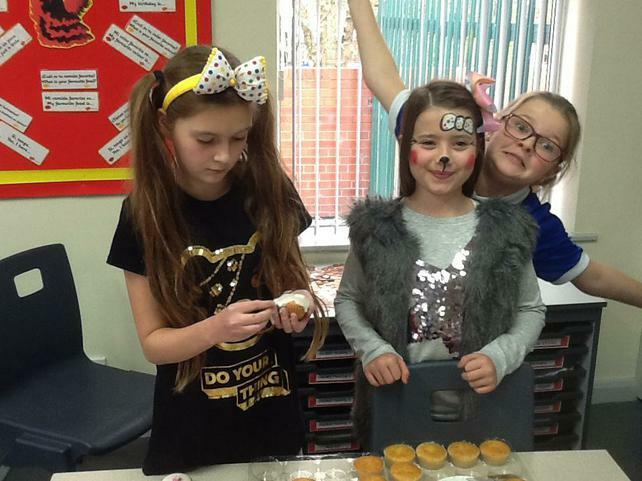 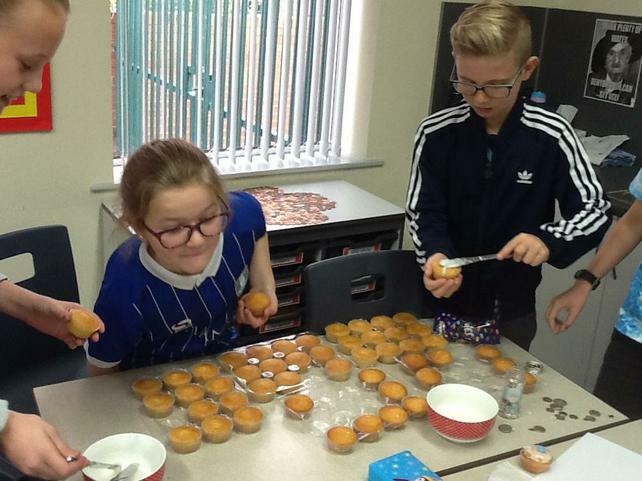 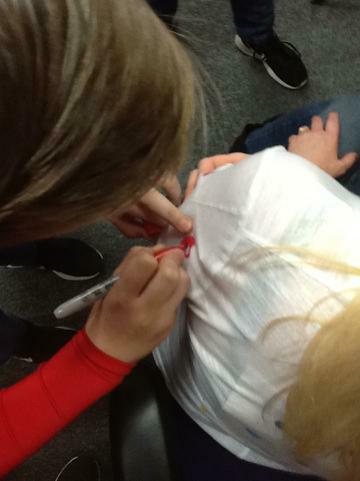 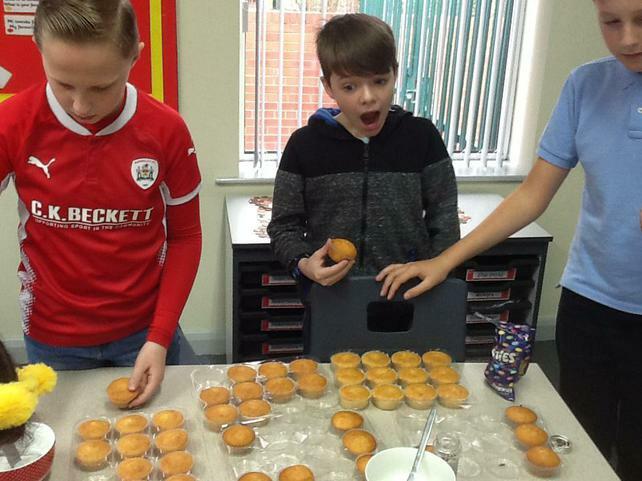 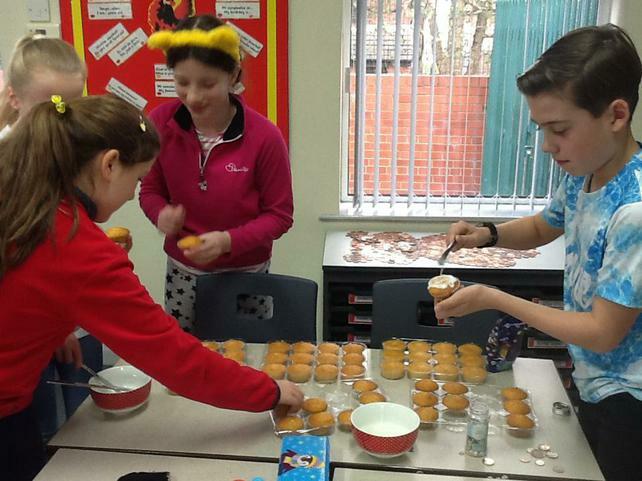 We also were able to decorate and sell buns which were a huge hit. 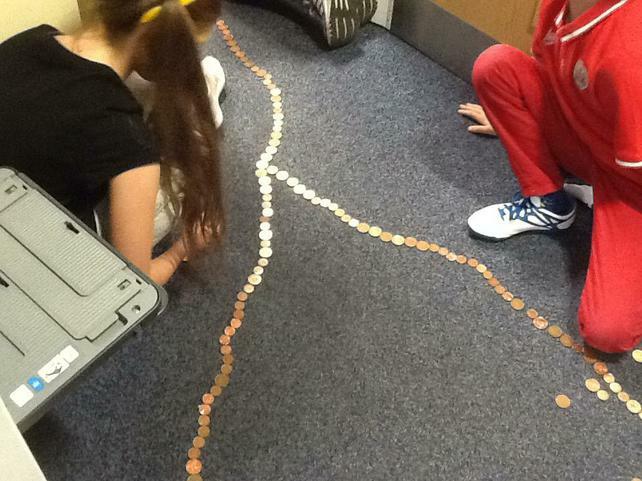 Thank you to all the fundraising efforts. 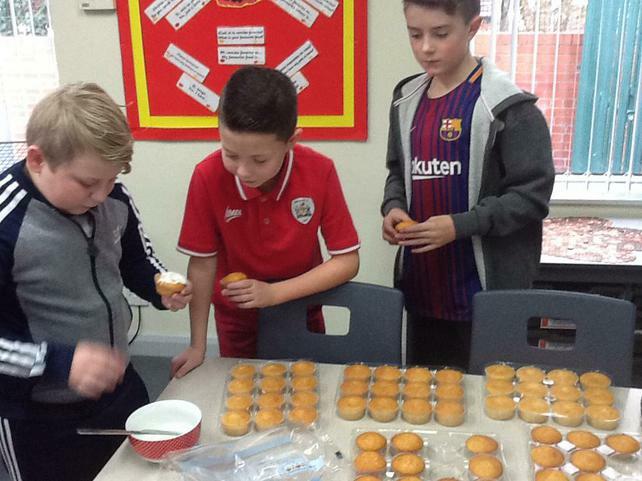 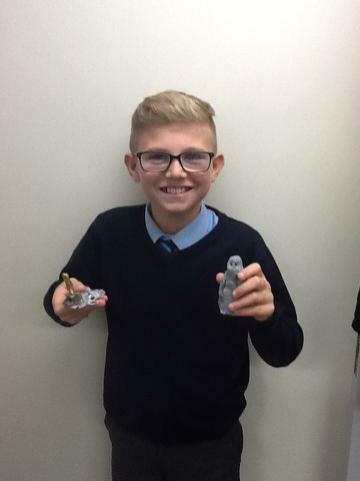 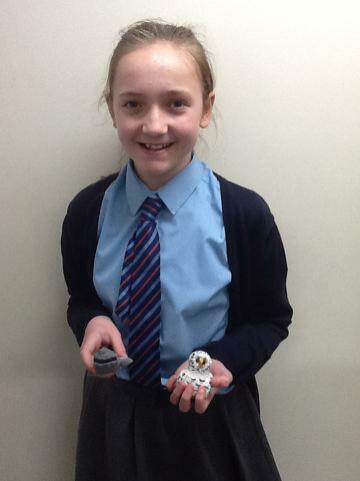 Class 5 have had a fantastic first week back since their half term break. 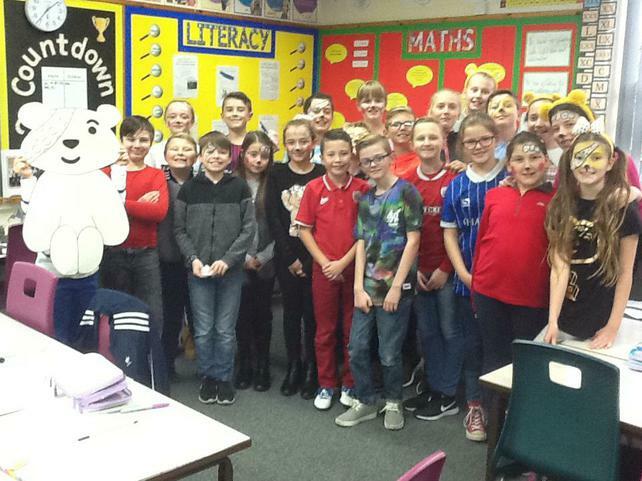 We were very lucky this week as we were joined by the parents in class to help bring an end to our topic. 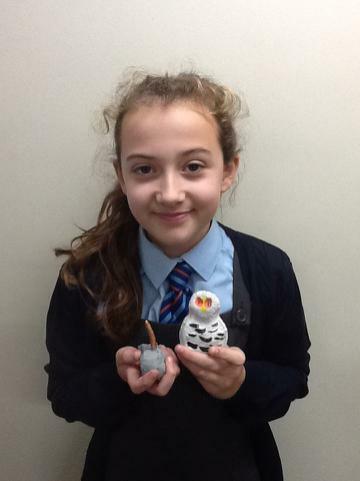 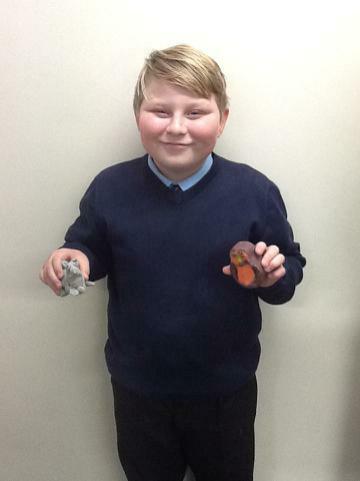 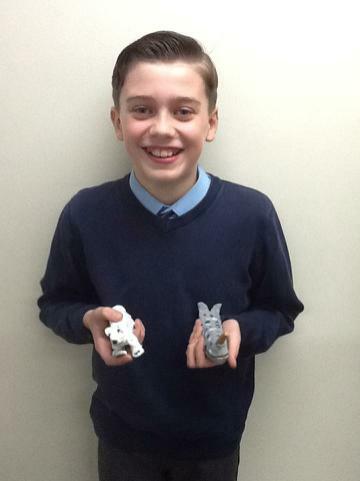 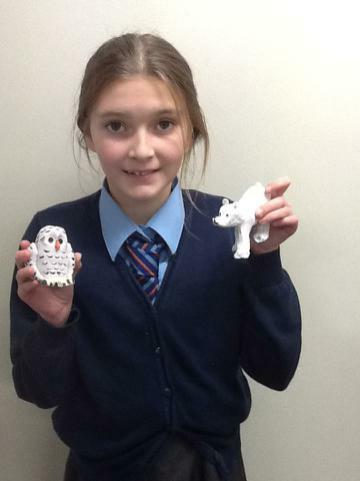 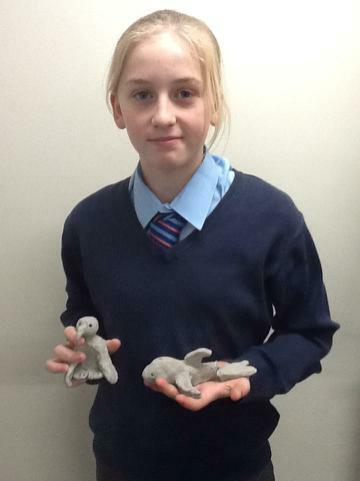 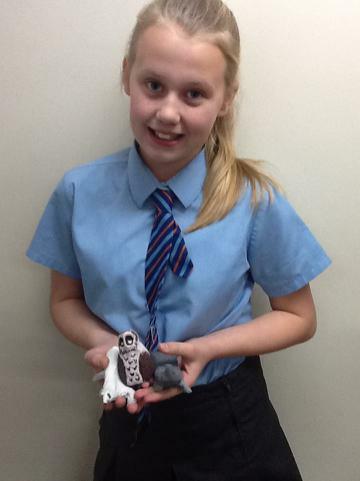 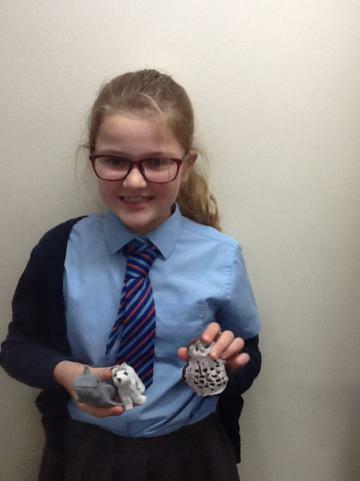 We used air dry clay to create the animals of our frozen kingdom. 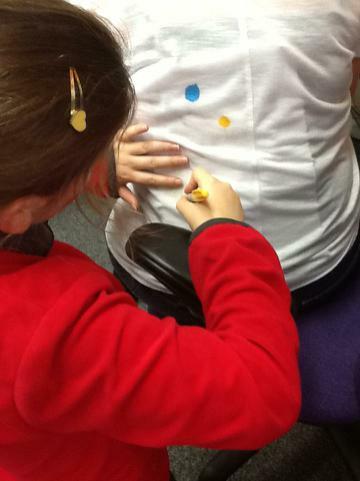 The results were fantastic. 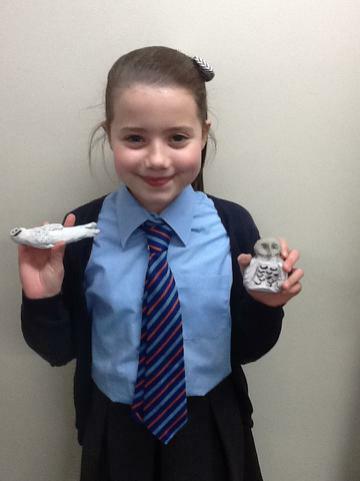 Come back in a few weeks when they are dry and see the finished pieces after they have been painted.